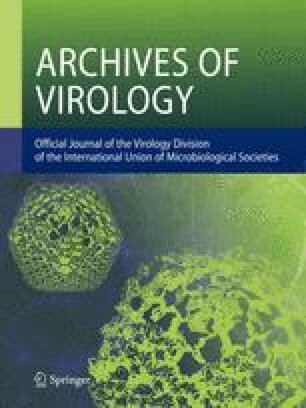 A sequential study of the virus-intestinal cell interactions in the small intestinal mucosa of intact pigs and surgically isolated loops of jejunum was made using the Purdue strain of TGE virus. The different phases of the infection were examined by immunofluorescence, histopathology and measurement of virus production. Viral replication occurred only in the cytoplasm of the absorptive cells on the villi and resulted in cellular degeneration and desquamation starting at 12 hours PI. In the jejunum, loss of the epithelium led, via progressive shortening of the villi, to villous atrophy with temporary denudation of the mucosa at 16 to 18 hours PI. Polymorphonuclear cell infiltration occurred in intact pigs concomitantly with massive cell loss. In the upper duodenum and on the villi containing lymphoid tissue in the ileum, TGE virus replication was limited to a few cells and did not cause villous atrophy. The proliferative cells in the crypts of Lieberkühn were refractory to TGE virus and this permitted healing of the viral injury to occur by rapid replacement with newly regenerated cells which initially were flat to cuboidal. Differentiation of the cells was then observed and was followed by regrowth of the villi. Some of the regenerated cells were seen to become infected during this differentiation process. The majority of these cells, however, did not show any indication of intracellular viral activity. As villi grew longer, the number of infected cells gradually decreased and fluorescence was not detected after 7 days postinoculation. The events occurring in the isolated jejunal loops upon infection with TGE virus were, with some minor variations, similar to those in intact pigs. Newly produced virus was first detected in the lumen of the isolated loops at six hours. Virus yields reached maximum levels at 12 to 24 hours after infection and then progressively declined to be non-detectable at 15 to 18 days after inoculation. Submitted as Journal Paper No. 3966 of the Purdue University Agricultural Experiment Station.